Like most American teenagers, I first got behind the wheel of a car at the age of 15. Now, I know what you’re thinking. “You must have been such a natural, Deens. I bet you were just like Danica Patrick. What stopped you from going pro?” It wasn’t just my desire to drive slowly enough so my dashboard Hula Guy’s grass skirt maintained its integrity, friends. In fact, he lost some blades every time I inched above 30 MPH, anyways, so while he was a factor in my decision he certainly didn’t put the kibosh on the whole operation. Gun to my head, I’d have to say the main reason I didn’t become a professional driver was because I was actually pretty terrible behind the wheel. As in, I got in three accidents in rapid succession before the age of 17. I suffered from that unfortunate combination of low confidence plus over cautiousness that plague most new drivers, if I’m going to just get all nakey with the truth. And apparently I am. 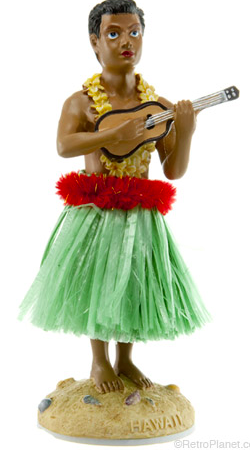 how my hula guy looked, but without the dead eyes. yikes. Like what you see? No?! Prudes. Given my track record, it shouldn’t surprise too many of you that I am just AMPED for driverless cars. In case you’ve missed it, major car companies like Mercedes and Beemer are getting in on the technology, and Google is leading the pack in its investment. The project lead behind Google’s driverless cars is aiming to have these cars on the market in less than 5 years. Isn’t that the best news ever?! Now I know what some of you are thinking – “nope.” It makes some people totally uncomfortable to think a car driving alongside them is, well, a robot. They’re miles away from handing over the keys. I can identify with the feeling as a former inhabitant of the UK and currently Ireland, both lands where they buck tradition and drive on the left side of the road. It’s not only disorienting to sit in the front of the car on the “driver’s side” sans steering wheel, pedals, etc, but it’s totally jarring to glance at other cars where someone on the “driver’s side” is overtly texting, has her feet kicked up, or is even asleep. I can’t tell you the amount of times I’ve been fooled by this and have called the police on these “drivers.” Way too many times to count. All was going swimmingly until the elevator attendants went on strike in 1945. New York City lost $100 million dollars as a result, so the elevator industry knew it was time to make a change. Enter – driverless elevators! Go on, they said. Get comfortable being launched up several building stories in a metal box with no one behind the figurative wheel. Just, get there, ok? And people were totally freaked out. 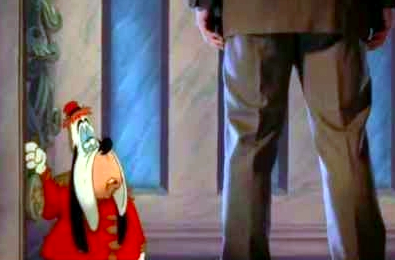 The industry basically had to condition them to get comfortable with driverless elevators. So they introduced elevator music, and automated, soothing “doors closing” and “going up” voices. They even installed a red button that says “Stop,” so humans can have some sort of (illusion of) control. So, anyways, this is what the podcast was saying will happen. We’re about to be conditioned to get comfortable with no one behind the wheel in the very near future. I am all about this. Since when is human error comforting? I’d happily hand over my keys to a robot any day over a human who is like “oh just let me answer this text quickly while I totally pause at this Stop sign.” And can I get a big “hallelujah” for the ability to get a little toasted on your way to a celebratory event? These cars can’t come soon enough.